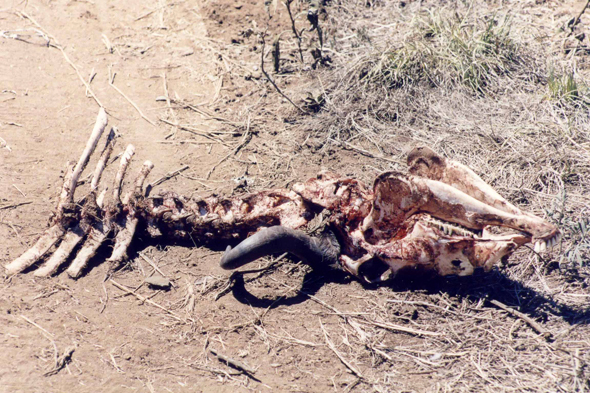 A carcass of wildebeest. In savannas of Serengeti, it is up to 400 000 wildebeests which move thus, while following the rains. The wildebeest flees at a gallop, often in single file, with downcast head.